Hello wrestling fans, with the question of "who's the best in the world?" on my mind, I decided to watch WWE Breaking The Code: Behind the Walls of Jericho. I must say, Chris Jericho is one of my favorite wrestlers of all time. As we all know, he has always looked up to Shawn Michaels and he always reminded me of Shawn too. He was always a great in-ring performer, worked all around the world, gaining so much experience and got noticed by guys like Paul Heyman, Jim Cornette and Mick Foley. Jericho had a brief run in ECW, which eventually got the attention of Eric Bischoff. With the idea of the Cruiserweight division in mind, Bischoff hand-picked Jericho as one of the pioneers of that division, alongside other guys like Eddie Guerrero, Dean Malenko, Rey Mysterio Jr., etc. Jericho mentions how the guys in the Cruiserweight division worked the hardest and had the best matches. I've always been a fan of all the fast paced, high flying action that the Cruiserweight division brought to WCW. I'm a big WWE fan, but WCW had its moments and Chris Jericho was one of the best, especially when he was a heel. His turn as heel let Jericho show his charisma. His pop culture references, catch-phrases and especially his list of 1,004 holds were so ridiculous, you couldn’t help but laugh. But of course, WCW failed to notice how much he was getting over, he eventually left to WWE and Y2J was born. Jericho's debut is bottom-line the best entrance anyone has ever had. WWE gave him the chance he would've never gotten in WCW. 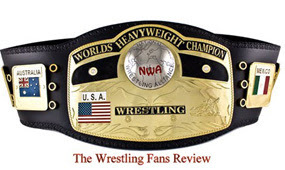 The lists of his accomplishments are as follows: ECW Television Champion, WCW Cruiserweight and Television Championship. Now I have to stop there because as we all know, Jericho has won every title WWE ever had. He's held the Intercontinental Championship for a record, 9 times. He's the first Undisputed Champion, beating The Rock and Stone Cold Steve Austin on the same night. Another fun fact: Chris Jericho has never been injured, at least not in the wrestling world. His "second coming," was a rebirth, making him a more serious and vicious Chris Jericho. "I am the best in the world at what I do" became his trademark quote. Now with the question in mind, Chris Jericho is one of the best. I once said CM Punk might be the best now that HBK and Jericho are gone. I have to admit though; CM Punk isn’t the best "wrestler" in the world, as he says. Let’s be honest, he's good and he's talented in the ring and on the mic, but he got over because he cut a shoot promo which gave him notoriety. All WWE saw were $$$. That’s why he's in the position he's in now. I also want to add that I love his tribute to Macho Man Randy Savage, BUT his elbow drop is horrendous and I hate seeing it lol. 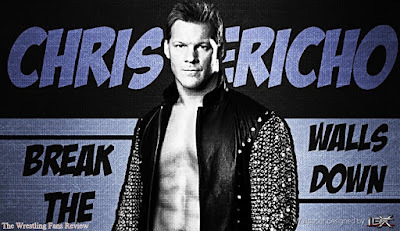 So, since Jericho has accomplished so much and is already a WWE Legend, in my eyes, he doesn’t need to win the WWE title at WrestleMania 28. His job for Mania is purely just to get CM Punk over. I really don’t see Jericho winning only because his legacy has already been built. CM Punk is the future, whether anyone likes it or not. So who's the best in the world? Shawn Michaels of course. Who do you think is the best?